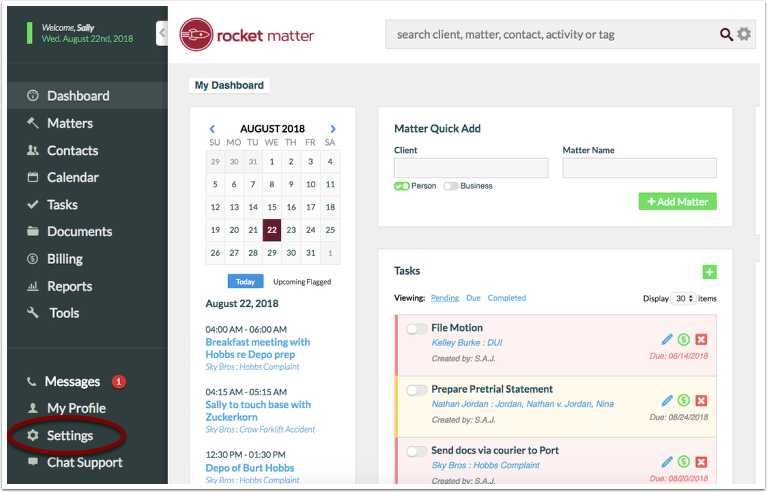 Rocket Matter Knowledge Base SettingsHow do I set user permissions? 1. Navigate to "Settings" in your navigation bar. If you don't see 'Settings' in the left-hand navigational panel, please contact your account administrator. 2. 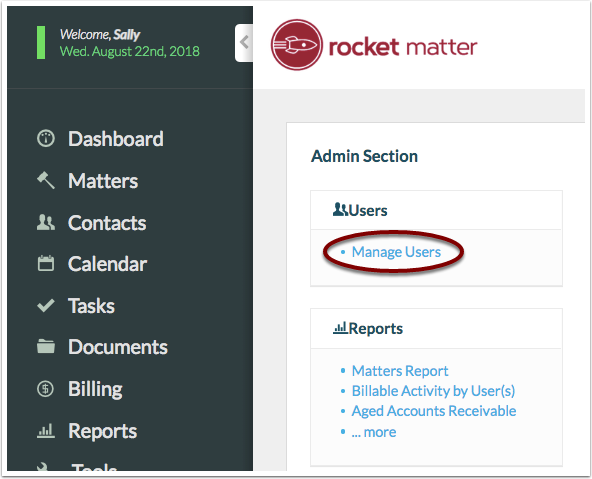 Select "Manage Users" underneath the users section. 3. Select the user who's permissions you would like to change. 4. 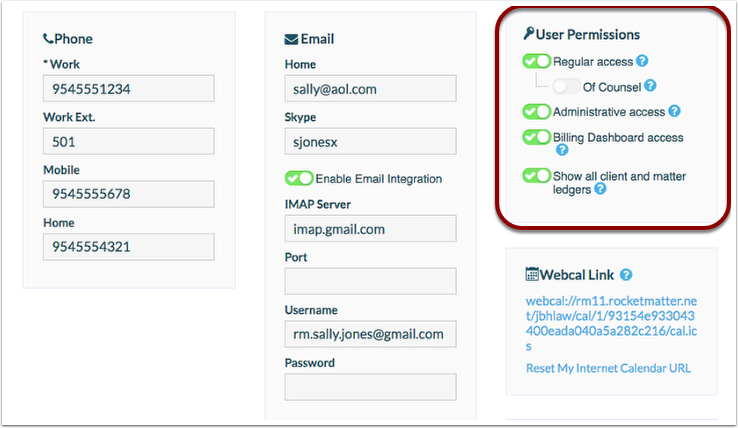 While viewing the users profile, view and modify the users permissions. Click on the blue '?' to learn more about each of the user permissions. Prev: How do I activate Two-Factor Authentication? 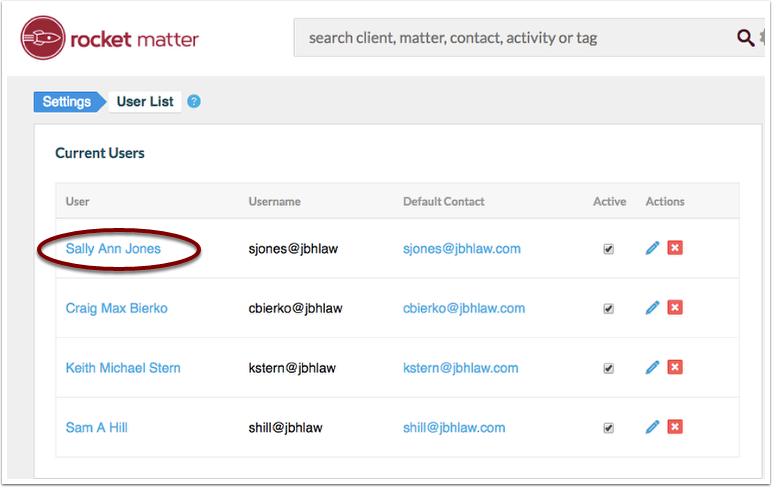 Next: How do I apply "Of Counsel" access to a User account?